Yunet Review 2019: Is Yunet a Good Hosting? Serbian website hosting company Yunet has been in business for more than 20 years and claims to have been the first internet service provider in Serbia. Serbian company YUNET INTERNATIONAL Ltd (Yunet) has been in business for more than 20 years. It sells a range of internet services including shared hosting and cloud solutions. Its main website is in Serbian, but some of the pages can be translated into English, Serbian, or Magyar (Hungarian). 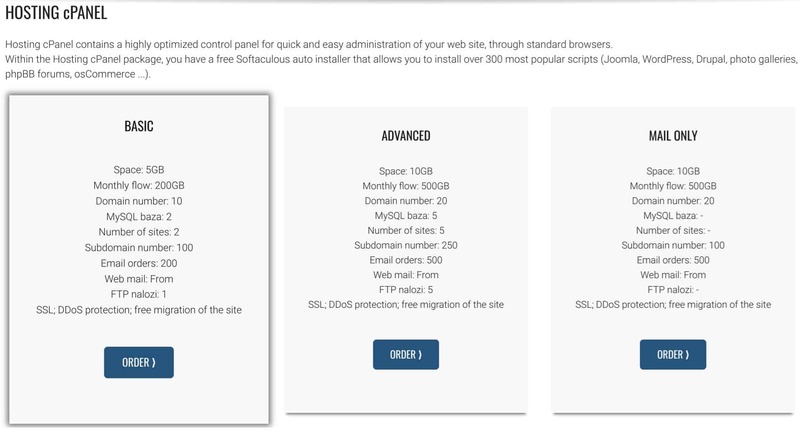 Yunet’s shared hosting plans come with the beginner-friendly cPanel control panel plus the Softaculous installer (for around 300 programs). The plans also come with the features you have come to expect such as MySQL databases, FTP accounts, SSL, DDoS protection, and DNS management. The VPS plans come with full root access so you can install your choice of software and configure your VPS as required. There’s a 99.98% uptime guarantee, and in the event of a server failure, your server will be moved to a different location to avoid downtime. These plans use HDD storage, which (unfortunately) is up to ten times slower than SSD storage. Yunet also offers dedicated server plans that come with a guarantee of 99.95% online availability per month. They have servers located in one of two Belgrade data centers, and they come with 24/7 technical support. Yunet’s prices are okay; not the cheapest on the market, but not overly expensive either. You can choose between a one-month and one-year term, and you get a good discount for choosing the latter. You also get a discount on domain registration when you purchase a hosting plan, and a choice of SSL certificate too. The checkout flow is a little confusing, but it’s not a huge problem. You can contact the company by email or telephone for technical support during extended business hours: 8 am to 10 pm on weekdays, and 9 am to 5 pm on Saturdays. You can also fill out an online form. I received no reply when I sent an email to customer services on a weekday morning. Yunet’s hosting plans are perfectly satisfactory but don’t particularly stand out in terms of features or price. If you want Serbian-based servers and your data based in Belgrade, this could be a web host to consider. If you’re looking for Serbian hosting, you should look at Yunet! Wondering how Yunet stacks up against other Web Hosting companies? Enter any other Web Hosting company and we will give you a side-by-side comparison.